Let's get one thing cleared first, Just Music Player Pro is not jetAudio. 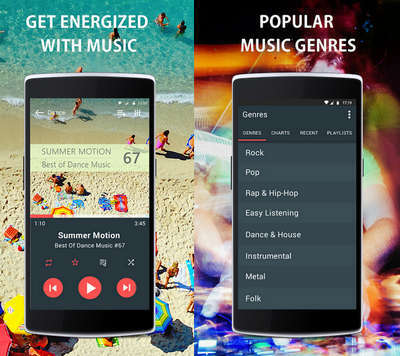 This is a new contender in the music apps arena and you should give it a chance. It's fully featured, supports almost all audio file types, and offers robust online music streaming options. This v5.54 APK is for the Pro full version without the ads. - Simple and Easy to use MP3 player and streamer! - Enjoy your favorite music with equalizer, best high quality sound, visualizer, playlist organizer, album art and album cover, share option, folders, bass booster and volume booster, skins, lyrics and so on. - JMP Pro supported music player formats: MP3, MP2, MP1, OGG, WAV, AIFF, MIDI, AAC, AAC , 3GP, XM, IT, S3M, MOD, MTM, UMX, MO3, MP4, M4A, OTA. - Stream new tracks with lyrics on screen. - Just Music Player Pro (Just MP3 player) offers you to listen to: rock songs, popular music, rap & hip hop, ambient tracks, dance & house music,instrumental, metal, alternative, jazz & blues, drum & bass, trance, ethnic, reggae, classical, indie pop, electropop, disco, many other songs and artists. Enjoy the best music experience with JMP Pro for tablets and Android smart phones with MP3 player that supports all files.